About Us - Ryan & Sons Realtors, LLC. We are all full time realtors dedicated to finding your family home in the Manhattan community. Our technology allows to have instant access to all listings in our community. Our agents are available around the clock via company call, email and text. We’re a experienced, traditional firm that will work diligently to earn your trust everyday. We deal with a variety of properties including building lots, pre-owned properties, new home construction, rental or income properties, and farm properties. All of our agents are members of the Manhattan Association of Realtors, Kansas Association of Realtors, and National Association of Realtors. We are centrally located in a professionally-designed office building with ample parking. 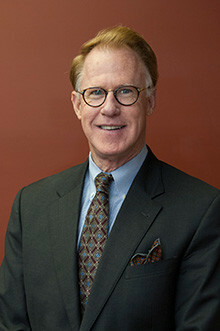 Jim Ryan joined the family firm in 1974, after graduating from Kansas State University in 1970. He was immediately employed by The Federal Intermediate Credit Bank of Wichita. Since 1974, Jim has devoted his full time service to residential and farm real estate in the Manhattan area. 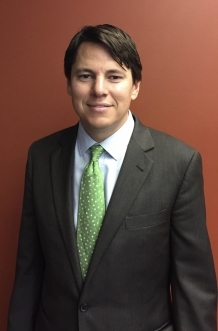 He has served on the Manhattan Board of Realtors and has held numerous committee positions with the local board. Jim is also a member of the Kansas Association of Realtors, National Association of Realtors, and hold the Certified Residential Specialist (CRS) designation and is currently a member of Rotary International. He strives to provide excellent service. His wife is a nurse at a local doctors office. He is proud father of three children, all graduates of Kansas State University, and a proud grandfather of seven. Jim has a daughter that teaches in the Manhattan school district and a daughter who is a dentist in the Manhattan community. Jim was recently awarded Realtor Emeritus Status by the National Association of Realtors. Jack Ryan received his Bachelor of Fine Arts from Kansas State University in 1974. 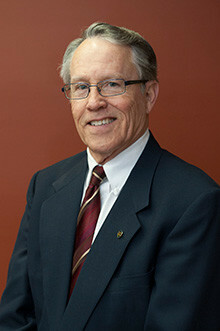 He has been a member of the firm since 1975, celebrating over 40 years of real estate. He is a broker who is a member of the Kansas Association of Realtors, National Association of Realtors, and holds the designation of Certified Residential Specialist (CRS). Jack has two sons who are graduates of Kansas State University and a wife who taught in the Manhattan public school system. Jack is a proud grandparent of three. Jack has past involvement with numerous community boards, to include Manhattan Arts Council, McCain Development Board, the Beach Museum of Arts Board, and Historic District Review Board. Jack is an active member of Rotary International and presently serves on the Kansas State University Cancer Research Board with the Division of Biology. Jack knows Manhattan and its people well. Phil received his Bachelor of Science in Advertising and Minor in Business from Kansas State University in 2004. Phil is a member of the Manhattan Konza Rotary Club, the Manhattan Chamber of Commerce, and serves as the advisor for Theta Xi Fraternity at Kansas State University. He is also a member of the Kansas Association of Realtors and the National Association of Realtors. Phil currently sits on the board of the Manhattan Association of Realtors as its Director. Phil begins the third generation of Ryan family realtors to work at Ryan and Sons, LLC and looks to continue to provide the same great customer service that his grandfather started over 50 years ago. He has been married for 11 years to his wife Arika who graduated from Kansas State in 2005. Phil has a six year old son, Kelby, and a two year old son, Kason. He is a lifelong Manhattan resident and knows Manhattan and the surrounding communities very well. 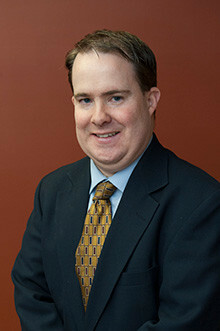 Jeff is a 1998 Kansas State University graduate with a degree in Business Administration, with an emphasis in Marketing and International Business. Prior to joining Ryan & Sons in 2012, Jeff spent six years employed with the KSU Foundation within the Annual Giving and Student Life Programs department. Additional past professional experience includes advertising and marketing for two well-respected Kansas City-area advertising agencies, and Manhattan small business ownership. 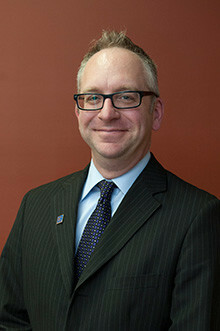 Jeff most recently served as the President of the Manhattan Association of Realtors in 2016, is a member of the Manhattan Association of Realtors, member and past-president of the Manhattan Konza Rotary Club, a 2008 Leadership Manhattan graduate, and remains active in numerous boards within the community. Jeff works to continue the family tradition at Ryan & Sons Realtors; his wife, Jill, is the daughter of Ryan & Sons co-owner, James Ryan, Jr. Jeff is the proud parent of two sons, Cooper and Cameron. Josh is a part of Ryan & Sons Realtors and is a third generation Manhattanite. He attended Theodore Roosevelt Elementary and Manhattan High School, and is a K-State graduate. While familiar with all areas of town, he has a fondness for Manhattan's older neighborhoods and sees the charm and character of the homes within them. Josh is dedicated to ensuring each client's happiness and success with every real estate transaction and believes the process begins with listening to the client's needs. In addition, Josh is aware that real estate transactions often coincide with entering a new chapter in one's life, representing both stress and excitement. As a result, it is important to choose a Realtor you can trust who will represent your interests. To ensure your home buying or selling process gets the proper attention and care, contact Josh today.